Do you know an artist? Do you know a budding artist? 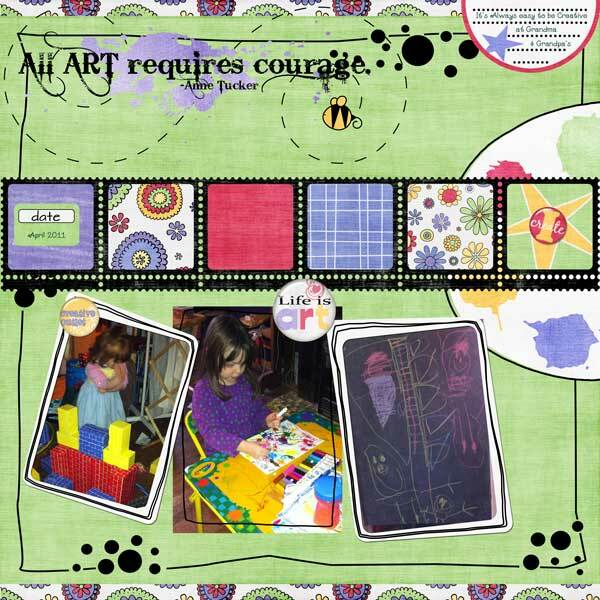 Here is a kit that is a lot of fun to scrap with showing those budding artistic endeavors. 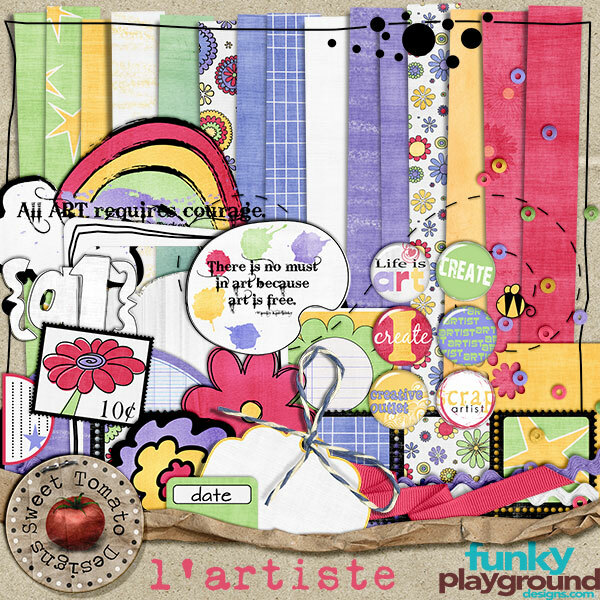 It is part of the May 2011 collaboration kit at Funky Playground Designs! This was so much fun to play with and as soon as I saw it I knew exactly which pictures I was going to scrap. Hope you enjoy, make sure to go get the Collab kit as I think it’s only available for the month of May!